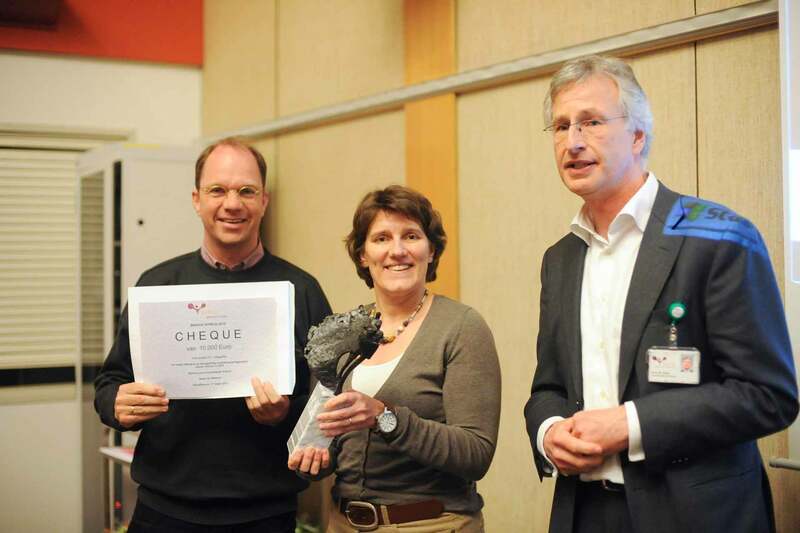 This Spring, radiologists dr. Marcel de Witte and dr. Petra Simons won the Innovation-Award of VieCuri Medical Centre for their research at the implementation of CT-colonography as diagnostic device for General Practitioners. The price-money was used for development of (teachings) an international training programme for radiologists by the foundation of The Virtual Colonoscopy Academy (www.virtualcolonoscopyacademy.com). They also received ESGAR approval. Marcel de Witte: “Our goal is the implemantation of virtual-colonoscopy on a large scale. Any hospital and radiology department should offer this technique to their patients”. The technique of CT-colonography has been around for a couple of years. What is new about your approach? Until now the technique has been developed and scientifically examined in academic hospitals: how well does the CT-colonography work in comparison to the gold standard – optical colonoscopy. As a large peripheral hospital with many patients referred by their General Practitioner, our opinion is that CT-colonography is to be used in a broader setting: not only limited by indication through the gastro-enterologist. CT-colonography is an excellent non-invasive technique for ruling out polyps and colorectal carcinomas. And that is our purpose: rule these things out. Many patients are not looking forward to undergo an endoscopic colonoscopy. Commonly it is true that patients are not looking forward to a colonoscopy. In Germany the endoscopic colonoscopy is being offered as a screening device, but the compliance is only 13%. The CT-colonography is a good alternative; it is less invasive, it has less side effects and does not need sedation and therefore recovery time. So the patient can go home immediately afterwards. There is a great demand for this kind of examination within GP-medicine. The most famous patient is actually Obama, who was in the Oval Office the same morning again. What was the turn out of your research? We performed a study within 400 GP-patients. The main question was: how often can you prevent the more invasisve optical colonoscopy? The only thing we did was judge the CT-scan and decided, by use of international criteria (the CT-colonography reporting and data system, C-rads) whether we had to refer the patient or not. The result was that the vast majority of the patients (approximately 85-90%) the optical colonoscopy could be prevented. This requires a proper patient selection. This is off course is a very interesting result. You put this knowledge into practice in this centre. What do the results of your study mean to other medical centres? In the VieCuri we precede other hospitals. My opinion is that all medical centres should apply this method of procedure. Regardless the advantages for the patient, the technique is less expensive and the capacity of the colonoscopy is limited. You received a cheque of 10.000 euro. What will happen to this money? We financed a website with the money: the Virtual Colonoscopy Academy. Via this website we offer suitable trainings, for radiologists and radiologic technicians, aimed at daily practice (www.virtualcolonoscopycourse.com). Good quality courses are essential. We take care of the courses together with Philips Healthcare, who supplies the equipment and software. We are very proud that the course has been officially internationally acknowledged by the ESGAR (European Society of Gastrointestinal and Abdominal Radiology).